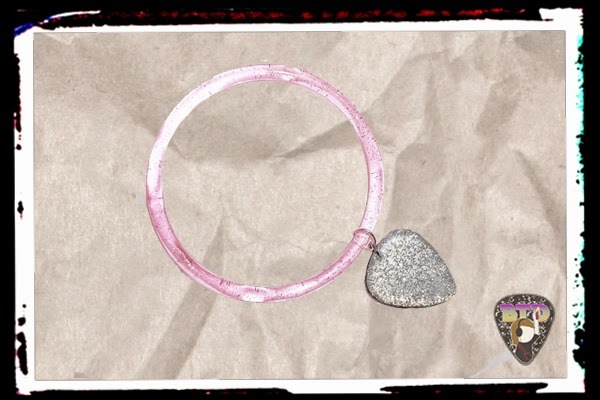 Rock Resurrection Art : Just guitar pick bracelets! 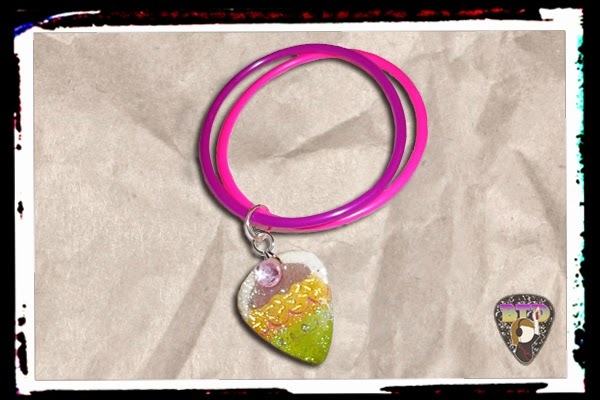 Here all all the different guitar pick bracelets I have to offer in my shop. Just click on the image to go to the listing! 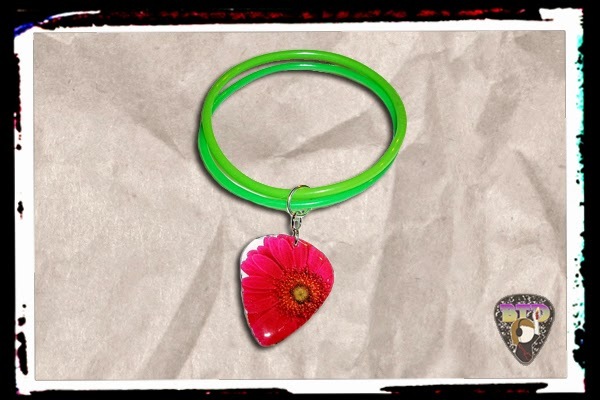 Flowers - Pink Flower Guitar Pick Pendant (White Flower backside) with bright Green bands. 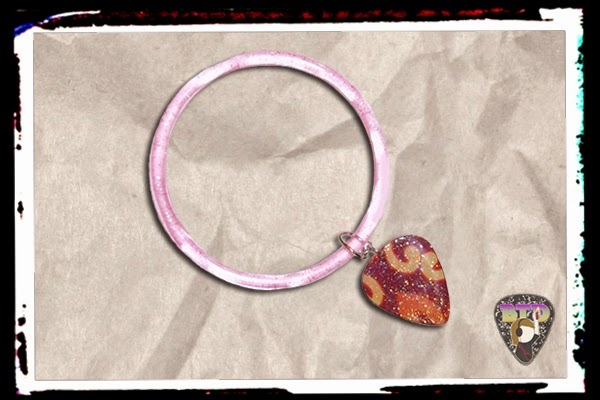 Art Nouveau - Art Nouveau guitar pick pendant (Silver & Purple music note backside) - pink glitter plastic band. Get the matching hair clips! 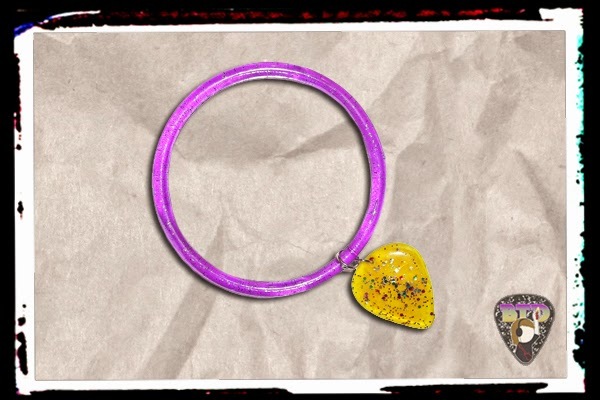 Yellow Sparkle - Transparent Yellow Pendant with Glittery Purple plastic band. 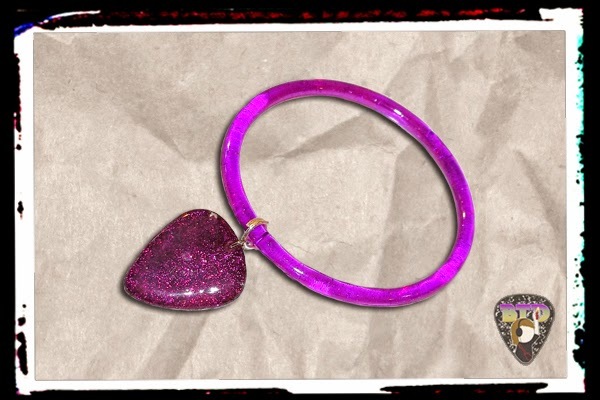 Purple Glitter - Purple Guitar Pick Pendant with Glittery Purple plastic band. 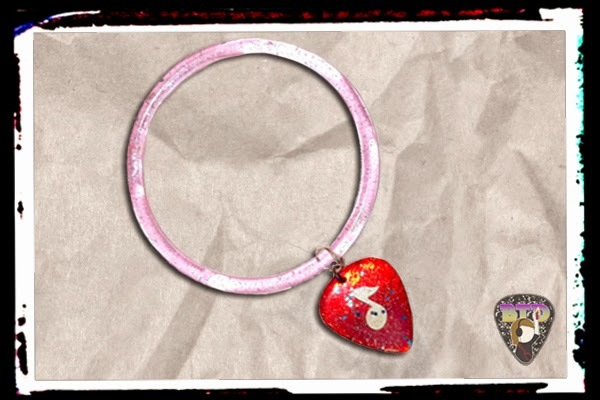 Red & Pink - Shiny Red guitar pick pendant (Green scales backside) - pink glitter plastic band. 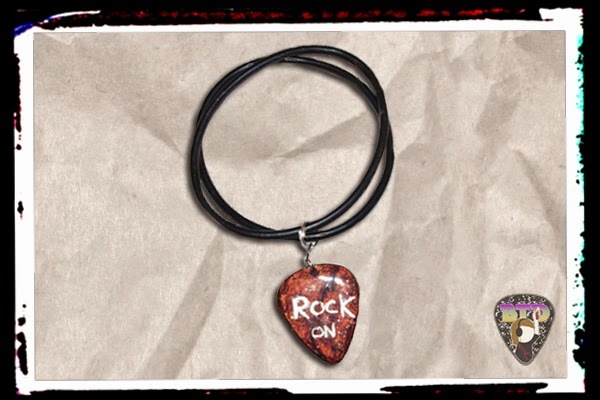 Rock On - Shiny Guitar Pick Pendant (Lightning Bolt backside) with Black bands. Silver & Pink - Silver Glitter Pendant with Glittery Pink plastic band. 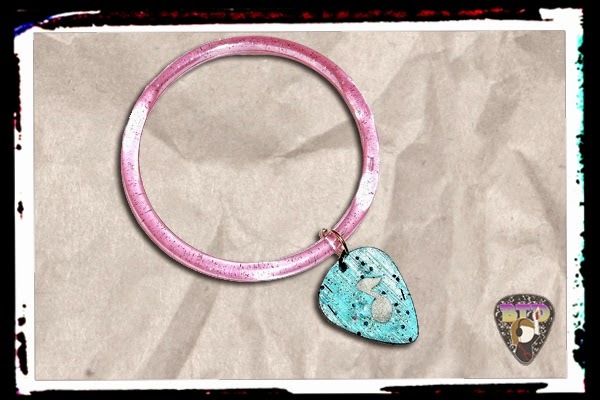 Blue & Pink - Silver & Blue guitar pick pendant - Glittery Pink plastic band. 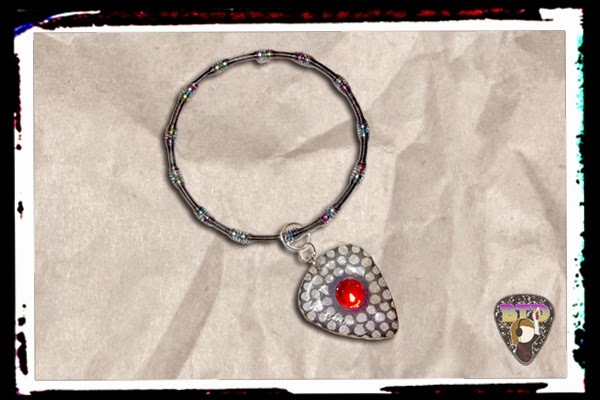 Gothy - Black patterned Guitar Pick Pendant (Silver backside) with a red jewel one one side. Bracelet is iridescent colored coil style. 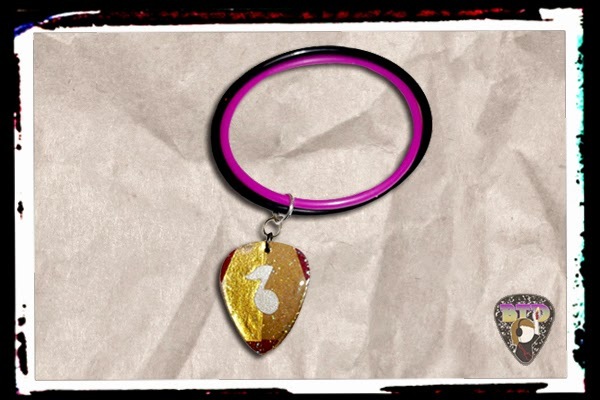 Gold - Gold Guitar Pick Pendant (Dark Blue Glitter backside) with Black & Purple bands. 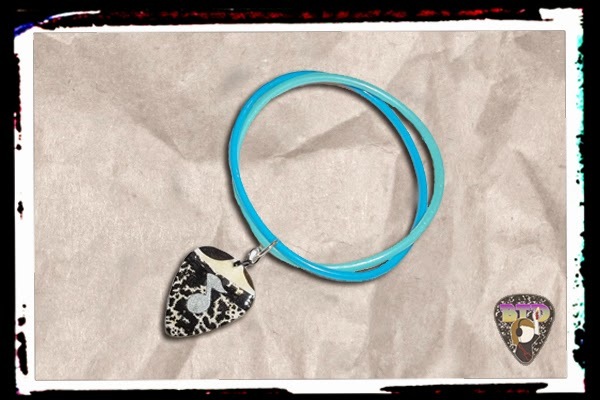 Composition Book - Composition Book Guitar Pick Pendant (Shiny Blue backside) with Light and Dark Blue bands. 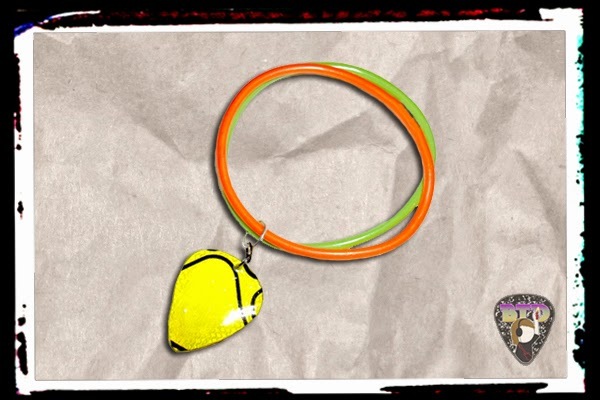 Neon - Reflective Guitar Pick Pendant (Glittery backside) with Green and Orange bracelet. Cupcake - Glittery Cupcake Guitar Pick Pendant (Purple Glitter backside) with Purple and Pink bands.